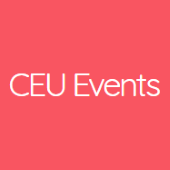 CEU Original Series is an industry-first concept in which we create and develop Continuing Education presentations for Units with original content and suggested script. The Units are accepted by the ASID, IIDA and IDC. If you are subscribing to CEU Original Series™ let us help you take full advantage of all the features that are available to you. Once you subscribe, you will be an approved instructor for our courses. After you complete the Sign Up process, please make sure to complete the one-time Instructor Profile form required by IDCEC. View Available CEU Original Series™ Presentations, download your desired presentation with resources, read it and practice presenting it! The success of your CEU Events is very important to us. Please let us know your feedback and/or suggestions after using our services. We created a OS Instructor Essentials 101 Manual for you to make things as easy and simple as possible and you also may find our CEU Events Instructor/Presenter Handbook helpful especially if you are new to CEUs. Thank you for your support and enjoy presenting!